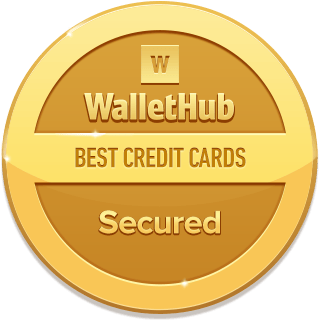 WalletHub makes it easy to find the best secured credit card. A secured credit card is a credit card that requires you to place a refundable security deposit, the amount of which becomes your credit limit, preventing you from spending more than you can afford to repay. Secured cards are great for people with bad credit or limited credit because they offer nearly guaranteed approval (some cards are from WalletHub’s partners). Secured credit cards also report information to the major credit bureaus every month, just like unsecured cards. And they’re much cheaper than unsecured credit cards for bad credit. That’s why it’s best to use secured credit cards to build credit. Check out WalletHub’s picks for the best secured credit cards below. Overall, the best … show more secured credit cards have no annual fee (or a low yearly charge). … show more Some even offer rewards on every purchase you make. The one catch is you need at least $200 to spare for a refundable security deposit. But you’ll get that back upon closing your account. So even though a secured credit card won’t give you much of an emergency loan, it is the perfect way to improve your credit. Earn 1 H-D™ Genuine Rewards point for every dollar of eligible net purchases. You can redeem every 2,500 points you earn for a $25 H-D™ Gift Card. 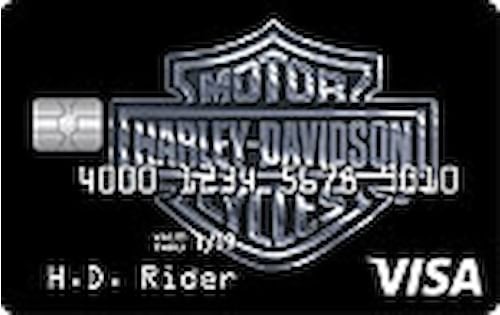 Gift Card can be redeemed at Harley® dealerships or online at h-d.com/store towards Harley® gear, accessories, service and more. Every time you use your card, you'll be entered for a chance to win a new motorcycle with the H-D™ Visa Free Ride Sweepstakes. Sweepstakes ends 12/31/2019. If your application is approved, the issuer will send you a credit card with a credit line the same amount as your deposit. The deposit is used to open a U.S. Bank Secured Savings account to ensure your card can be paid. The secure savings account is FDIC-insured, earns interest and won't be touched as long as your account remains open and in good standing. When you've managed all of your credit obligations responsibly and consistently for 12 months, you may be able to move to an unsecured credit card. Benefits: Auto Rental Collision Damage Waiver, Emergency Cash and Card Replacement, Online Banking and Automatic Bill Pay. A $0 annual fee and 1% - 2% cash back in rewards on purchases make Discover it Secured the clear favorite for rebuilding credit. Another reason this is the best secured credit card available right now: Discover it Secured will also double the rewards you earn in the first 12 months. WalletHub’s editors give Discover it Secured a rating of 5.0 / 5. This partially-secured credit card is perfect for people who want to build credit at a low cost. Capital One Secured has a $200 starting credit limit and may require a refundable security deposit of $49, $99 or $200, depending on your creditworthiness. The annual fee is $0. The Capital One Secured Card does not offer rewards. However, low costs are more important when credit-improvement is your top priority. WalletHub’s editors give the Capital One Secured Mastercard a rating of 5.0 / 5. 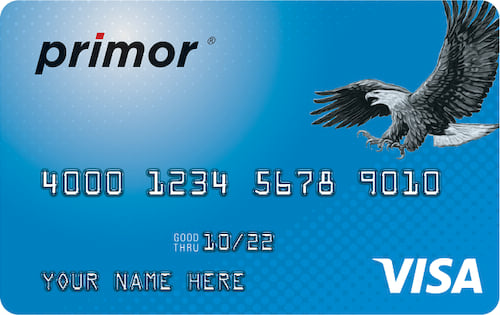 This card is great for people with poor credit who are concerned about being rejected when they apply for a credit card. The OpenSky Secured Card has no credit check, meaning approval does not depend on your credit history. There will be no hard inquiry on your credit report. The main approval requirement is having enough income to afford monthly bill payments as well as a refundable security deposit of at least $200. The OpenSky Secured Card has an annual fee of $35. It does not offer rewards. WalletHub’s editors give the OpenSky Card a rating of 4.0 / 5. This is a solid choice if you’re looking for a secured credit card with a low deposit and no annual fee. The minimum deposit requirement is $200. The Citi Secured Card does not offer rewards. People with limited credit or better have the best odds of approval. 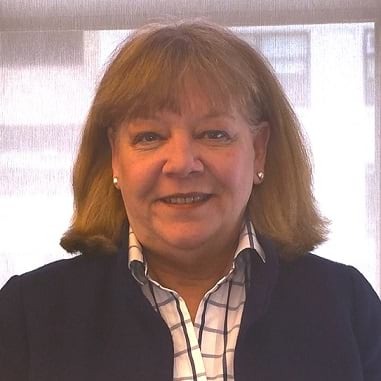 WalletHub’s editors give Citi Secured a rating of 4.6 / 5. 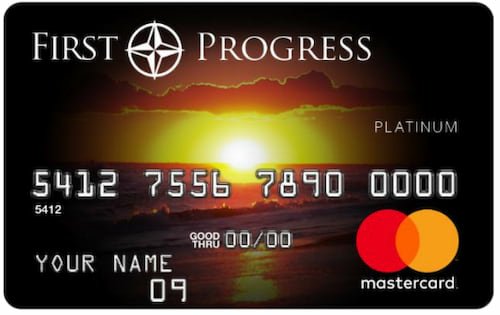 Rewards points and poor credit actually mix with this card. It gives 1 point per $1 spent on all purchases and is available to applicants with bad credit. 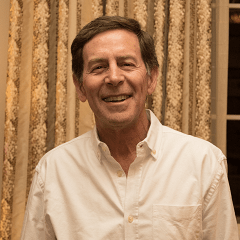 You do need a military connection to qualify for Navy Federal Credit Union membership, however. The Navy Federal Secured Card has no annual fee and no monthly fee. The minimum deposit required is $200. Beginning six months after account opening, Navy Federal will regularly review your account for possible unsecuring. WalletHub’s editors give the Navy Federal Secured Card a rating of 3.5 / 5. This is the best secured business credit card available right now. It has a $0 annual fee the first year ($40 after). It also gives 1 - 3 points / $1 in rewards on purchases. The minimum security deposit for the BBVA Compass Business Secured Card is $500. WalletHub’s editors give the card a rating of 3.5 / 5. 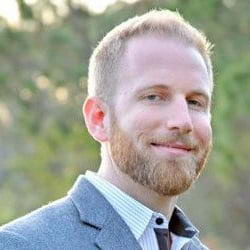 WalletHub’s editors compared dozens of secured credit cards based on their fees, deposit requirements, rewards and other factors. This helped us select the market’s best secured credit card offers for different types of applicants. At the end of the day, the best secured credit card to build credit with is the cheapest one that you can get approved for. A secured card’s deposit is fully refundable, after all, and your top priority should be to build credit inexpensively. Fortunately, there are more no-fee (or low-fee) secured credit cards to build credit with now than ever. Secured cards report to the major credit bureaus each month, just like unsecured cards. You actually can’t tell them apart on credit reports. But it’s still important to note that you should be able to qualify for a decent unsecured card in about a year’s time if you use your secured credit card responsibly. Responsible use generally means on-time monthly payments and not maxing out your spending limit. You can keep close tabs on your progress and see where improvements are needed by checking out your WalletHub Credit Analysis page. For more information about using secured credit cards to build credit, check out our guides on how secured cards work and the best way to improve your credit score. There is no Chase secured credit card available right now. In fact, there’s never been a secured credit card from Chase. Chase offers unsecured credit cards for people with good credit or better. That’s it. So you won’t have to place a deposit to get a Chase credit card, but you will need a 660+ credit score (700+, to be safe). 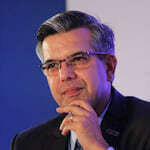 Although there is no Chase secured credit card, the same cannot be said for many of Chase’s competitors. Capital One, Citi, Discover and Wells Fargo are just some of the major banks that offer secured credit cards. No Chase secured credit card: Chase doesn’t have a secured card. The easiest Chase credit card to get requires at least good credit. Good for low deposits: Capital One Secured Mastercard has a $0 annual fee. It requires a deposit of $49, $99 or $200, based on your credit history.But you always start with a $200 credit limit. Easiest approval: OpenSky Secured Visa has no credit check. It charges a $35 annual fee and requires a $200+ deposit. Best cash back rewards: Discover it Secured has a $0 annual fee and 1-2% cash back on purchases: 2% cash back on $1,000 spent at restaurants and gas stations each quarter (1% everywhere else). And Discover matches your first year’s rewards. There is a $200+ deposit. So even though you’re not able to get a Chase secured credit card, you still have plenty of options. And they’ll all help you start rebuilding your credit, plus save some money. Once you get your credit score to 700+, you can start thinking about applying for a Chase credit card. The best secured credit card with no credit check is the OpenSky Secured Visa Credit Card because it has the lowest annual fee, at $35. There are a total of four secured credit cards with no credit check: OpenSky Secured Visa, Green Dot primor Visa Gold Secured, Green Dot primor Visa Classic Secured, and Applied Bank Secured Visa Gold Preferred. They’re all pretty similar, too. The annual fees on secured credit cards with no credit check range from $35 to $49 per year. All of the cards require a $200 security deposit. And they all report information to the big 3 credit bureaus each month. 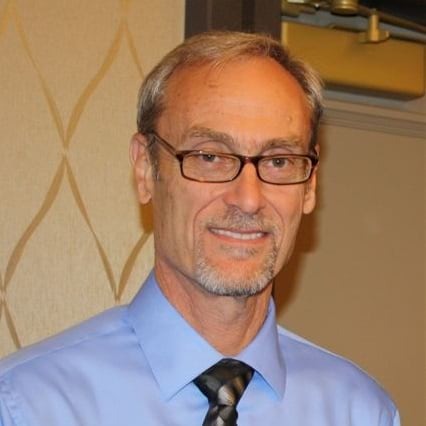 So any of them can help you immediately begin rebuilding your credit. It’s important to note, however, that even a secured credit card with no credit check has some approval requirements. 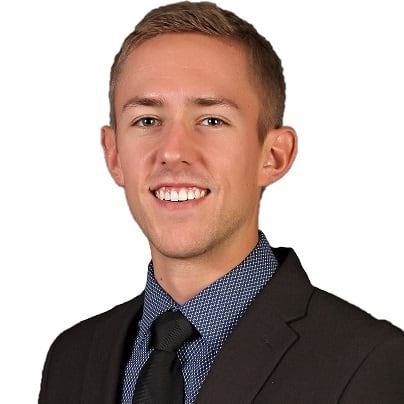 You have to be at least 18 years old, for one thing, and you need enough money for the refundable security deposit as well as monthly bill payments. 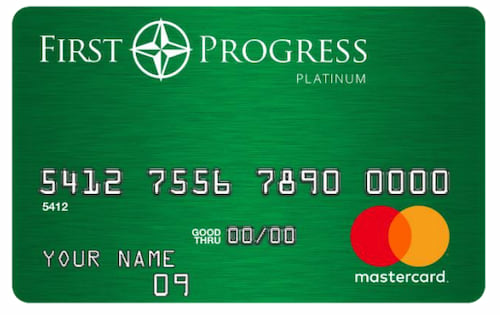 Best for low APR: Green Dot primor Visa Gold Secured Credit Card. $49 annual fee. $200 minimum deposit, $5,000 maximum. 9.99% fixed APR with no penalty APR. Reports to all 3 major credit bureaus. Best for low annual fee: OpenSky Secured Visa Credit Card. $35 annual fee. $200 minimum deposit, $3,000 maximum. 19.64% (V) APR. Reports to all 3 major credit bureaus. Best for high credit limit: Applied Bank Secured Visa Gold Preferred Credit Card. $48 annual fee. $200 minimum deposit, $5,000 maximum. 9.99% fixed APR. Reports to all 3 major credit bureaus. 2nd lowest annual fee: Green Dot primor Visa Classic Secured Credit Card. $39 annual fee. $200 minimum deposit, $5,000 maximum. 13.99% fixed APR. Reports to all 3 major credit bureaus. Before you apply for a secured credit card with no credit check, make sure you actually need it. Even secured cards that require a credit check are pretty easy to get. They’re meant for people with bad credit. And the refundable security deposit you place reduces the risk for issuers. Individual issuers may have specific requirements that rule some people out. For example, you can’t get the Capital One Secured Mastercard or the Discover it Secured Card with a non-discharged bankruptcy on your credit report. But there are plenty of others whose main requirement is that you have enough money to fund the security deposit. And while they may do a credit check, most applicants should still get approved. The hard inquiry that comes with a credit check shouldn’t be too big of a deal, either, if you end up opening an account. The score damage will be temporary. And you won’t be able to qualify for any worthwhile loans until you improve your score anyway. So if you don’t need the best possible score right now, taking a short-term hit to achieve long-term gains is the way to go. Finally, if you’re nervous about getting rejected, you can check for pre-approval before applying. Pre-approval doesn’t mean you’re guaranteed an account. But it is a sign that your odds of approval are extremely high. If after all that you’re not confident in your ability to get approved, you can always go for a secured credit card with no credit check. The best secured credit card to rebuild credit is the Capital One Secured Mastercard because of its low deposit requirement and $0 annual fee. The deposit is $49, $99 or $200, depending on your creditworthiness, but you’re guaranteed a $200 credit limit. Another one of the best secured credit cards to rebuild credit is the OpenSky Secured Visa. It doesn’t even require a credit check when you apply, which makes it great for rebuilding really bad credit. Or, if you want to enjoy some perks while you rebuild, Discover it Secured is a rare secured card with rewards. You get 1% to 2% cash back on your purchases. To be clear, all major secured credit cards can help you rebuild your credit. They all report account information to the major credit bureaus every month. And all those with low annual fees and low deposit requirements are in the running for the top spot. But the Discover, Capital One and OpenSky secured cards each bring something special to the table. Best for Rewards: Discover it Secured Credit Card – $0 annual fee. $200 deposit required. 2% cash back on your first $1,000 per quarter at gas stations and restaurants. 1% back on all other purchases. Rewards matched after your first year. Reports to all 3 major credit bureaus. Best for a Low Deposit: Capital One Secured Mastercard – $0 annual fee. $49, $99 or $200 deposit required. $200 minimum credit line guaranteed. No rewards. Reports to all 3 major credit bureaus. 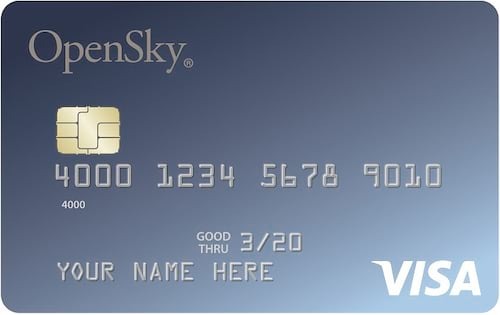 Best for No Credit Check: OpenSky Secured Visa Credit Card – $35 annual fee. $200 minimum deposit. No rewards. Reports to all 3 major credit bureaus. 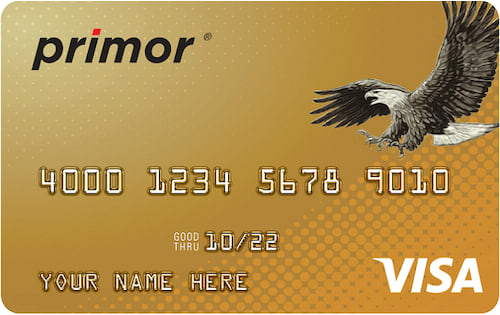 Best for low APR: Green Dot primor Visa Gold Secured Credit Card – $49 annual fee. $200 minimum deposit. No rewards. Reports to all 3 major credit bureaus. There are a few more cards that belong among the best secured credit cards to rebuild credit with, too. The Citi Secured Mastercard, Harley-Davidson Secured Visa and First National Secured Visa don’t charge annual fees. And that’s one of the most important things to look for in a secured credit card. 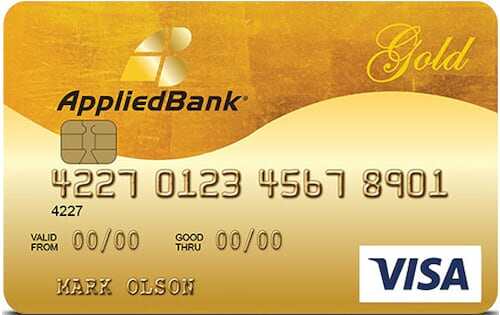 The Applied Bank Secured Visa Gold Preferred Card also has a low APR, at 9.99%. But you probably don’t want to carry a balance from month to month with a secured credit card. It basically means paying interest on a loan you’ve given yourself, since you pre-pay your spending limit. 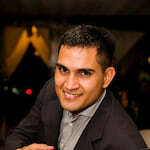 Choosing the best secured credit card to rebuild credit is only the first step toward actually rebuilding. You must also use that card responsibly month after month so that positive information flows to the credit bureaus. Regularly adding positive information to your credit reports gradually covers up the negative past records. Your card will report positive information as long as you pay your bill on time every month. Using less than 30% of your spending limit each month or paying multiple times per month can also too. But if you really want to rebuild your credit, you’ll need to get the rest of your finances in order as well. That means paying down debt, catching up on past-due accounts and steering clear of collections accounts. The Discover it Secured Card is the best secured credit card with no annual fee because it gives 1% to 2% cash back on purchases and has a $0 foreign transaction fee to go along with its $0 annual fee. Discover it Secured also matches 100% of the cash rewards a new cardholder earns the first year. And it reports to all 3 major credit bureaus each month. There are some other worthwhile options, too. 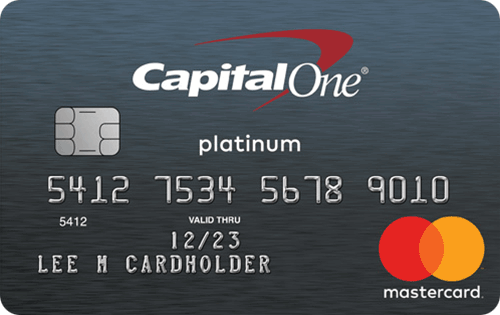 The Capital One Secured Mastercard is the best secured card with no annual fee and a low deposit (as low as $49). And motorcycle fans will benefit from the Harley-Davidson Secured Card’s rewards. Whichever no annual fee secured card you choose, you’ll have the opportunity to build your credit for free if you pay your bill in full every month, since your deposit is fully refundable. But it pays to compare offers. 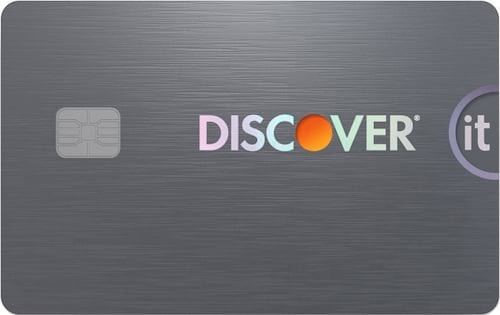 Discover it Secured Card. $0 annual fee. $0 foreign transaction fee. 2% cash back on the first $1,000 per quarter at restaurants and gas stations and 1% everywhere else. $200 minimum deposit. Capital One Secured Mastercard. $0 annual fee. $0 foreign transaction fee. No rewards. $49, $99 or $200 minimum deposit depending on creditworthiness. $200 credit limit. Harley-Davidson Secured Card. $0 annual fee. 3% foreign transaction fee. 1 Harley-Davidson rewards point per $1 spent. 2,500 points gets a $25 gift card. Entered for a chance to win a free motorcycle every time card is used through 12/31/2018. 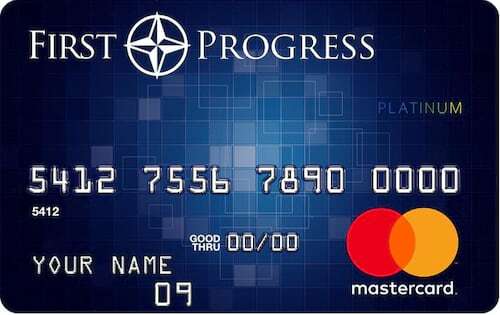 Citi Secured Mastercard. $0 annual fee. 3% foreign transaction fee. No rewards. $200 minimum deposit. There are several really good secured credit cards with no annual fee, and they’re available even to people whose credit is damaged. Some actually offer competitive rewards. Any no annual fee secured credit card is an excellent way to start building up a positive payment history and rebuilding one’s credit score. Eventually, it will be easier to qualify for unsecured credit cards with better terms. But unsecured cards for people with poor credit almost always charge annual fees. A secured credit card with no deposit wouldn’t be a secured credit card. Secured stands for security deposit, and a credit card without one is unsecured. So, no, you cannot get a secured credit card with no deposit. You can, however, get a secured card with a low deposit. Plus, there are some credit cards with no deposit for people with bad credit. But they tend to be more expensive in the long run, thanks to high fees that you don’t get back. This is what’s known as a partially secured credit card because your credit limit ($200 to start) could be higher than the deposit you’re required to place. There’s no annual fee. You get 2% cash back at restaurants and gas stations, up to $1,000 spent per quarter, plus 1% everywhere else. And Discover doubles all the rewards you earn the first year. You don’t have to worry about a hard pull further damaging your credit with OpenSky Secured. As long as you’re at least 18 years old and can fund the deposit, you should be good to go. There’s a $35 annual fee. There’s nothing special about this card, save for its low deposit requirement and no annual fee. But that’s really all you need. This isn’t a secured credit card, but it’s worth mentioning. 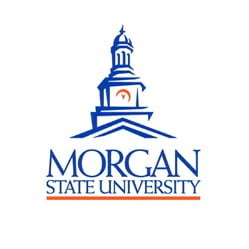 It offers a $300 minimum credit line, up to $75 of which could initially be used up by your first-year fee. The annual fee could be up $99 from the second year on. And the APR could be above 25%. Any of these cards will help you rebuild your credit if used responsibly. Most importantly, that means paying on time every month. Finally, it’s worth noting that although you can’t get a secured credit card without a security deposit, you can keep one – sort of. After months of responsible use, your card’s issuer may offer to refund your deposit. They may graduate you to a better offer or give you an unsecured line of credit on your existing account. Secured credit cards are among the most important, underrated financial products out there. They give people with damaged credit a lifeline to a brighter financial future, and they do so at a limited cost. For more insights into the pivotal role that secured cards play in the personal finance landscape, we posed the following questions to a panel of leading industry experts. You can check out who they are and what they had to say below. Do banks and credit unions make money off the security deposits from secured credit cards? Why don't more secured credit cards pay interest on your security deposit? Why aren't there more secured credit cards available? How does a secured credit card with no annual fee make the issuer money?